FALLS CHURCH, Va., Sept. 26, 2018 (GLOBE NEWSWIRE) -- Northrop Grumman Corporation (NYSE: NOC) announced today that its board of directors has elected Ann Addison corporate vice president and chief human resources officer, effective Jan. 1, 2019. Addison will succeed Denise Peppard, who has announced her intention to retire in March 2019. 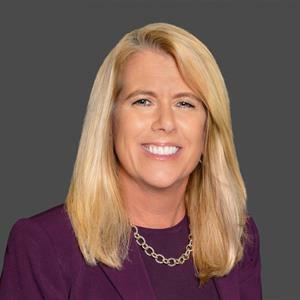 Addison joins Northrop Grumman from Leidos, where she was executive vice president and chief human resources officer. “We are grateful for the outstanding contributions Denise Peppard has made to Northrop Grumman over her more than seven years of leadership of Northrop Grumman’s human resources,” Bush said. “She has been instrumental in instilling a performance-based culture at our company, shaping both policy and operational change that enabled our company’s sustained top performance. Denise has also made invaluable contributions at the national level through her leadership of numerous workforce initiatives with the Business Roundtable, the Department of Labor, the Greater Washington Partnership, and the Business Higher Education Forum.” Peppard will remain in the role of vice president and chief human resources officer until Dec. 31, 2018, at which point she will continue to assist with the transition as a corporate vice president and until her retirement. Addison will join Northrop Grumman on Oct. 22, 2018 in a transitional role as corporate vice president reporting to Kathy Warden, Northrop Grumman’s incoming chief executive officer. Addison will be a member of the company’s corporate policy council.